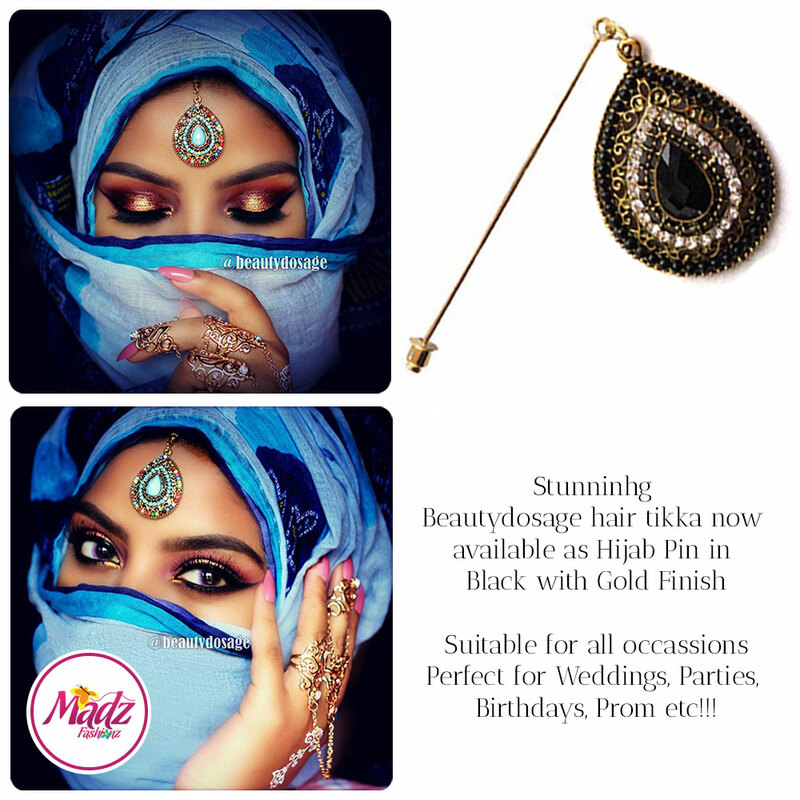 Beauty Dosage / Jeeshan Umar Chandelier Maang Tikka / Headpiece now available as hijab pin. 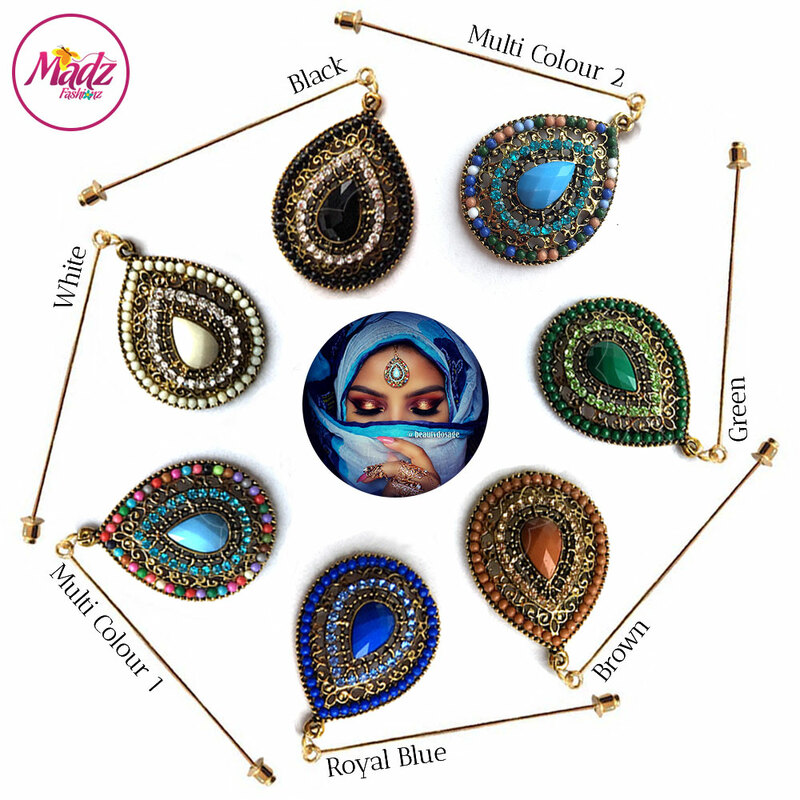 It has been made with shimmering matching crystal stones in combination with gold metal finished shimmering matching crystal beads. It has been modelled by the most talented Jeeshan Umar formally known as Beautydossage. Its an original jewellery hijab pin design only available at Madz Fashionz.